Its almost 3 months since Apache Camel 2.0 was released so its definitely time for a new release and that is why Apache Camel 2.1 is now feature complete. At this time of writing we are waiting for a couple of SNAPSHOT dependencies to be released over at our friends from Apache ServiceMix. So hopefully in mid next week Hadrian will be able to start building the release kit for Apache Camel 2.1. 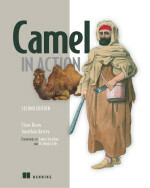 However before that happens the Apache Camel 1.6.2 release should have gone GA. The vote is still in progress but so far only +1 votes. Assuming everything runs by the book then we will have a release kit at the end of next week which goes through the voting process at Apache. If all again is well then 2.1 will be GA early December. Maybe a bit faster depending on how well it goes for Hadrian to build the release kits. When Apache Camel 2.1 is GA it will also be included out of the box in the upcoming Apache ServiceMix 4.1. So our friends at SerivceMix is also eagerly waiting for the Camel. If you want to take a look whats included in Apache Camel 2.1 then checkout the release notes which we write during development.